Salad season is in full swing. Really, when is it not? 🙂 Still, with the dry, warm weather, I am craving salads like no other! 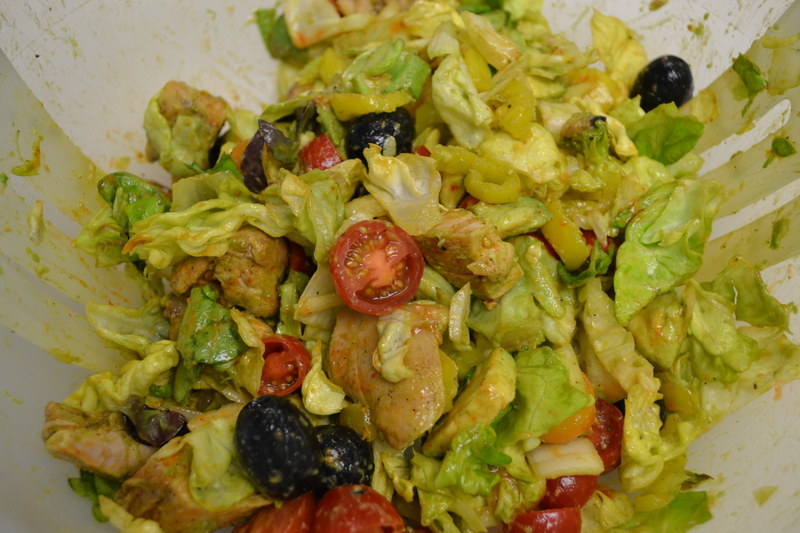 Last night we threw together a spicy chicken salad from veggies we had on hand, and pre-grilled spicy chicken. 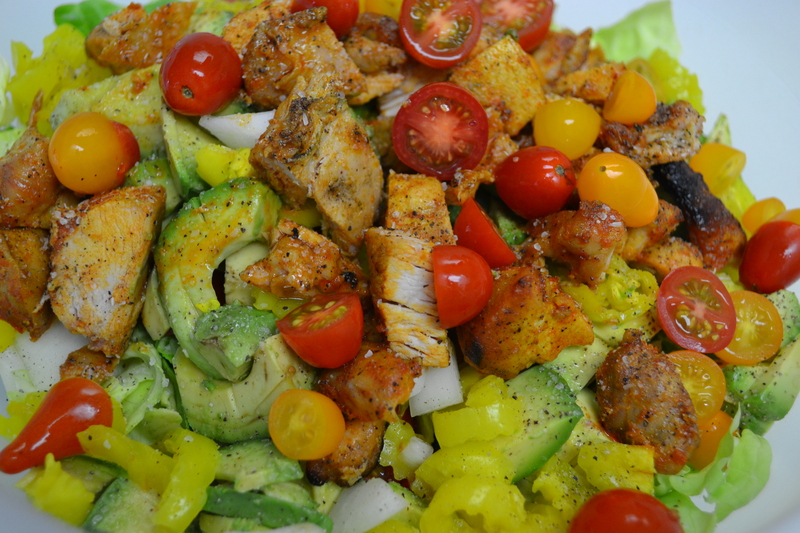 This entry was posted in Recipes and tagged Cholula, health, Healthy Fats, Paleo, Protein, Salad, Spicy Chicken Salad, Summertime by livinglikelinds. Bookmark the permalink. It was so good!! I took a break for a while from nightshades (tomatoes, peppers, spicy…) and am slowly reintroducing. SO GOOD. Enjoy! What seasonings do you use for spicy chicken?